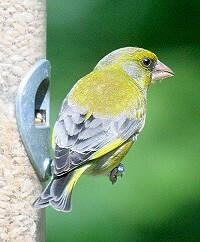 The greenfinch is olive green with yellow bars on its wings and a pale beak. 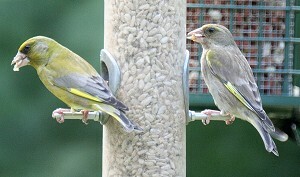 The female is duller in colour than the male. 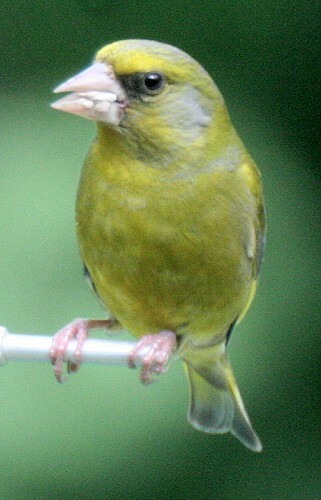 It uses its powerful beak to break open seeds. 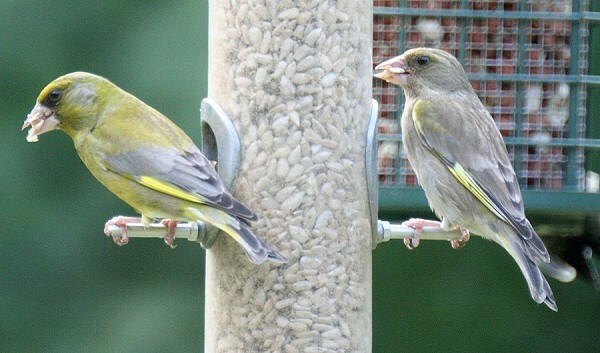 This is a sociable bird who is a popular garden visitor and has greatly increased in numbers because of this. They are regularly seen in towns and villages. They often have two broods of young per year and sometimes three.